The talented staff at El Molcajete Restaurant works hard to provide an authentic Mexican atmosphere. 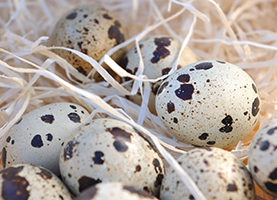 Quail meat purchased at El Molcajete Restaurant is guaranteed fresh and comes straight from local farms. 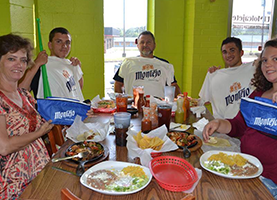 Finding authentic Mexican food anywhere near Sanford, NC can be difficult, but if you ever find yourself craving after the real Mexican experience, El Molcajete Restaurant is here for you. In our kitchen, we prepare classical dishes that you cannot find anywhere else in the state. All of the food that we make is created with fresh ingredients and produce that serve to add further flavor to the traditional recipes we use to prepare the food we love. 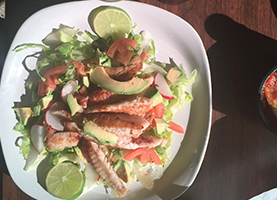 Here at El Molcajete Restaurant, we specialize in providing the authentic Mexican experience. Both in the food we serve and the restaurant that we run, we strive to make sure that our clients feel a piece of our home when they enjoy a meal with us. That is why we rely on fresh and local produce, so that our dishes are as farm fresh as those that can be found in rural Mexico. Our waiting staff reflects the hospitality and warmth that any Mexican family would radiate when welcoming a guest to their dinner table. The menu that we offer is extensive and broad, including all of the typical dishes that many people have come to know and love. For those looking for a quick bite, we have tacos, burritos, and similar dishes. If you want to delve deeper into Mexican cuisine, we have traditional meals such as mole, alambres, and sopes. We guarantee that we have your favorite dish, and that you will fall in love with any item on our menu that you have never tried before. Take a break from food that fails to excite you, and give El Molcajete Restaurant a chance to introduce you to something delicious and new. Stop by our restaurant and enjoy the best Mexican food that North Carolina has to offer!